Introducing Old Wise Sketch Font. Old Wise Sketch designed and shared by Galdino Otten. This is another hand drawn quick-sketch font. Old Wise Sketch is good for any project in which you would like to imitate chalk or sketch writing. It has formal shapes, but reckless contents. 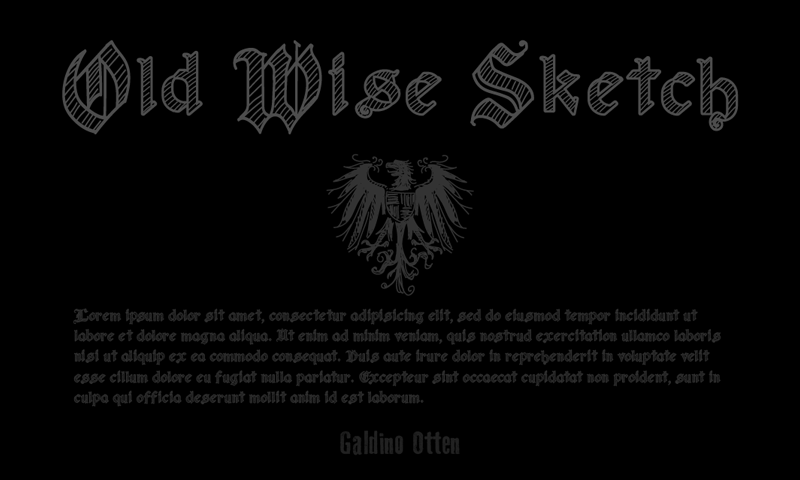 Thanks much to Galdino Otten, Old Wise Sketch Font is free for personal use. Please download and enjoy, or can search more similar fonts on befonts.